ALLEN, Texas - Nov. 4, 2016 - PRLog -- Four Stars Plumbing Company is a trusted brand in plumbing solutions within Carrollton, Frisco, Plano, and Dallas area. While offering reliable plumbing solutions to homeowners in Texas, Four Stars Plumbing Co. has made a big impact in helping to conserve the environment. When you conserve water and energy at home, you are protecting the environment; you are contributing towards green living. Plumbers, being specialists who handle different plumbing repairs in homes, they can greatly help in resource conservation by using the state-of-the-art energy and water saving fixtures, parts, components, and appliances. Many homeowners do not know how they can work towards conserving the environment. The kind of fixtures, parts, or components you use in your home could be causing more damage to the environment or saving it. If you use a toilet, sink, bulb, or an appliance that does not save water or electricity, it means that you are wasting resources. However, when you install brands that are designed to save resources including water and energy, it is giving you a leg up in protecting the environment. Four Stars Plumbing has discovered that it can change the environment through its plumbing services. Whether it is gas leak repair, slab leak detection, shower repair, toilet repair, bathroom drainage repair, kitchen sinks repairs, or other plumbing issues, the team at Four Stars Plumbing Co. will ensure you are satisfied with the results. 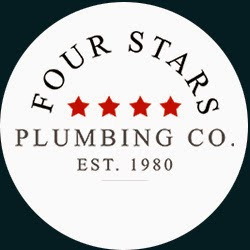 About Four Stars Plumbing Co.
Four Stars Plumbing Co. is a company situated in Carrollton, TX and regarded as a leader in plumbing solutions. The family-owned and family operated company knows the ins and outs in plumbing. Every homeowner experiences plumbing issues ranging from leaks, broken faucets and showers, pipe bursts, back flowing sewers and toilets, or leaking water tanks and pipes. Four Stars Plumbing Co. has been serving the residents of Dallas metro area for a period of more than 30 years. The plumbers have learned to deal with complex and simple plumbing problems. Plumbing issues can be an emergency and when that arises, the team at Four Stars Plumbing is ready to take charge of the situation and do away with the dangers, frustrations, and costs associated with emergency plumbing issues. The team at Four Stars Plumbing Co. realizes how important it is to have a trusted friend in all your plumbing needs. That's why Four Stars Plumbing is proud to be associated with Click 4 Homes Services in its website needs as it strives to offer solutions to plumbing issues in homes. Drip Zone Iv Announces It's New Website!